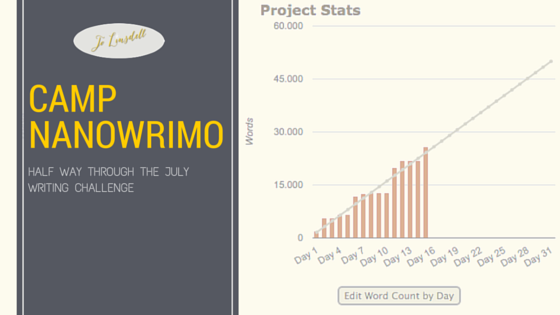 Throughout July I'm taking part in Camp NaNoWriMo. I'm using the challenge to work on an old November NaNoWriMo project that had the working title of Twice. My goal is to rewrite the manuscript and end up with a completed 50K novel b the end of the month. The first week was awesome! 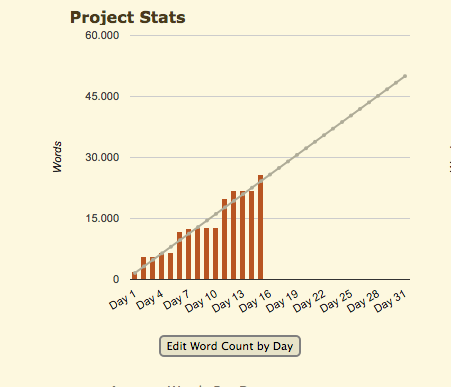 The words were flying, and I got ahead of my word count goal, despite having a couple of slow days along the way. In fact, I discovered that having slow days is totally fine. 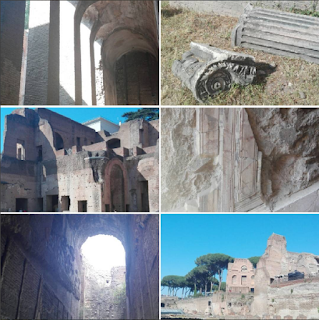 For example, on the first Sunday of the month museums and some tourists sites are completely free to visit here in Rome, and so I took my kids to explore the Palatino. We had a lovely day exploring old ruins, visiting the museum, and learning about Roman history. 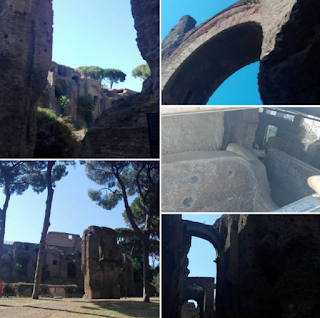 We even got to hear the sound check for the Pink Floyd concert that was happening in the evening at Circo Massimo (located right below the Palatino). All in all a pretty awesome day. Not so great for my word count though. In fact I wrote nothing that day. Week number 2 involved slow days too. Unfortunately it didn't balance itself out with turbo days though and so I went from being head with my word count to falling behind. I know that a couple of good days will put me back on track though. Not in panic mode yet! With the kids being off school for the summer break my days are pretty full as it is. Most of my writing has been done in the evening once they're in bed asleep. Only problem with writing in the evening is that I spend all day trying to make them tired so they go to bed, and then I'm tired too.... probably even more than they are. 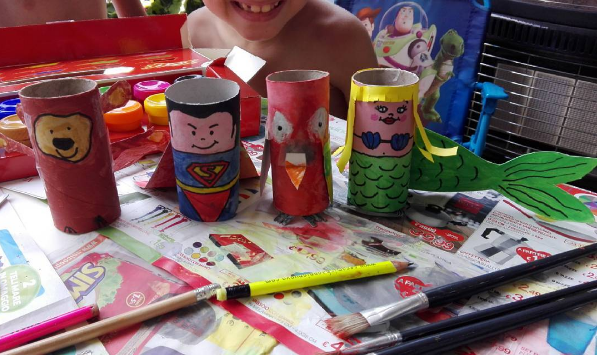 We have made some fun creative projects together though, including these fab toilet roll puppets. We spent the morning making them, and then the kids spent the afternoon planning a puppet show with them :) Apparently we need to make more of these (these need more characters for their puppet shows). Although I'm now playing catch up with my word count, I have made huge progress in the first half of this challenge that will, hopefully, mean I meet my goal of 50k by the end of the month. I've done a lot of brainstorming, planning, and general thinking about the story. I've outlined some sub plots that I'm writing in, developed some of the secondary characters, and made some big changes to the initial story idea. One big change is the title of the book. Twice just doesn't fit anymore. The book has taken a new direction and so I've been coming up with ideas for a new title. I'm still not 100% decided on what the title will be, but I've narrowed it down for just a few. Are you doing CampNaNoWriMo? How's it going so far?